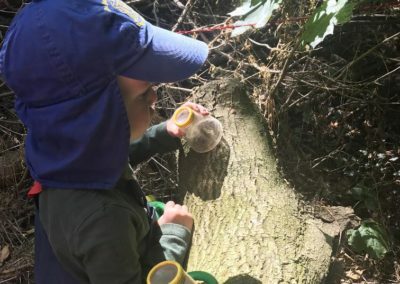 Remember the days when we played for hours outside and explored our surroundings on bikes or on foot? 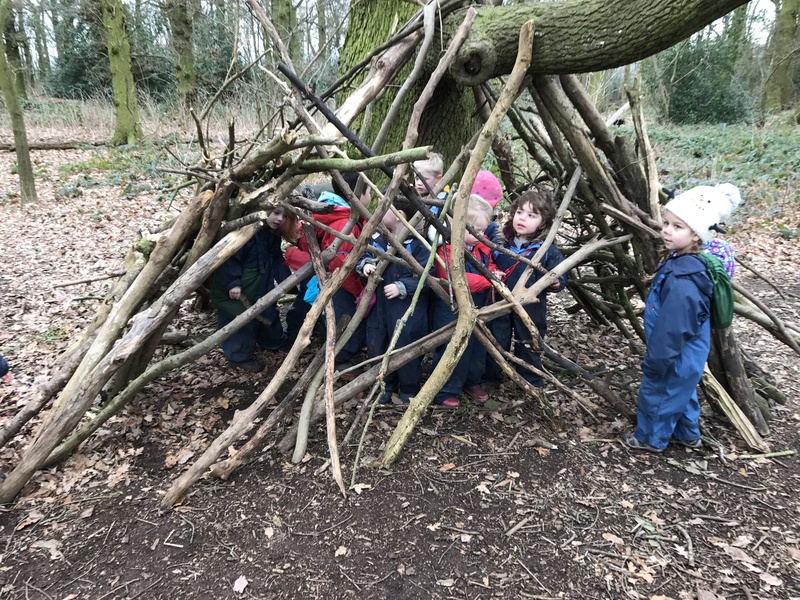 We had fun making dens, climbing trees, collecting wild flowers and investigating woodlands! 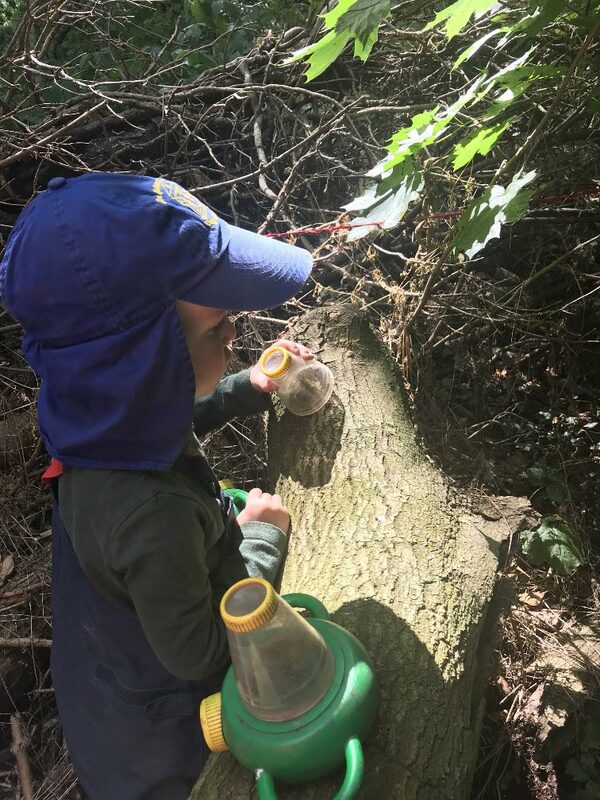 Most children today do not have these valuable childhood experiences; many parents’ emphasis is to keep them safely away from danger and risk. 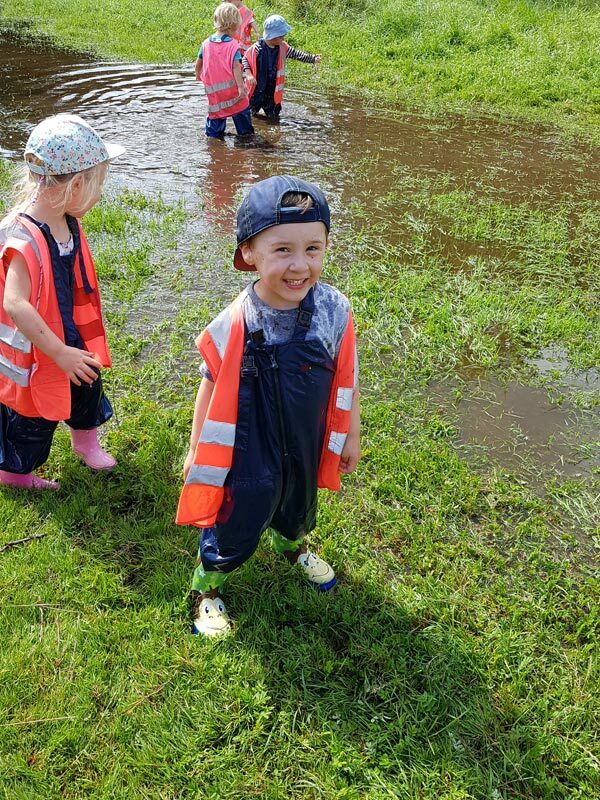 Children must be safeguarded, but too much protection can hinder development, depriving them of opportunities to discover and understand their world. 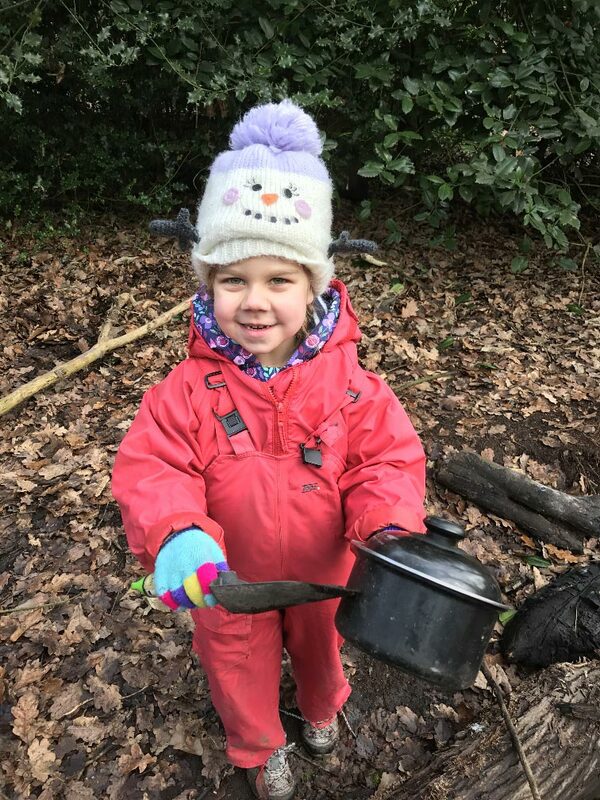 At our Forest School children learn how to use their own initiative to solve problems and to co-operate with others, as well as how to maintain safety. 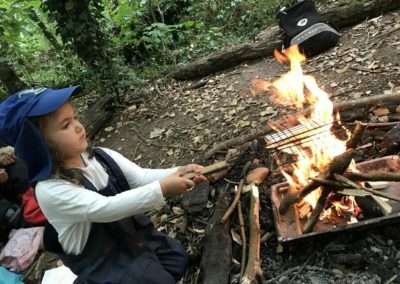 Important life skills, which help them to grow in confidence and to feel good about themselves! 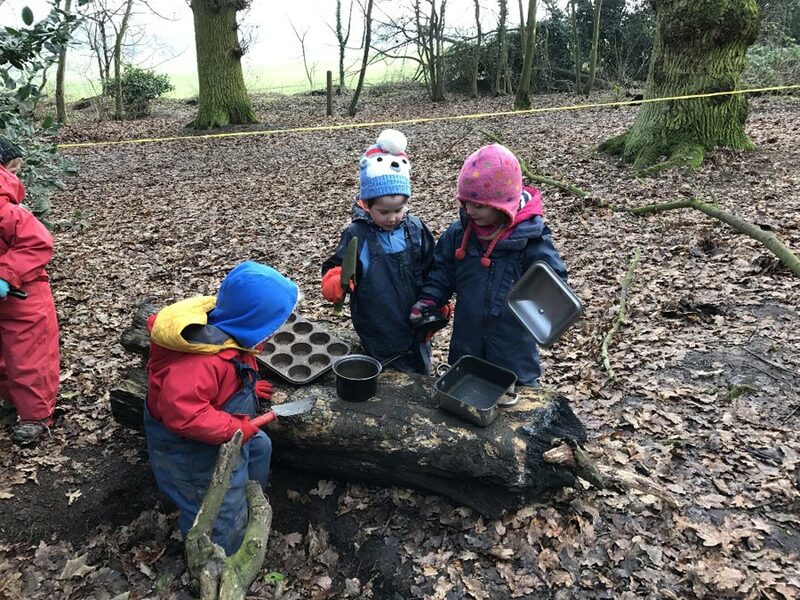 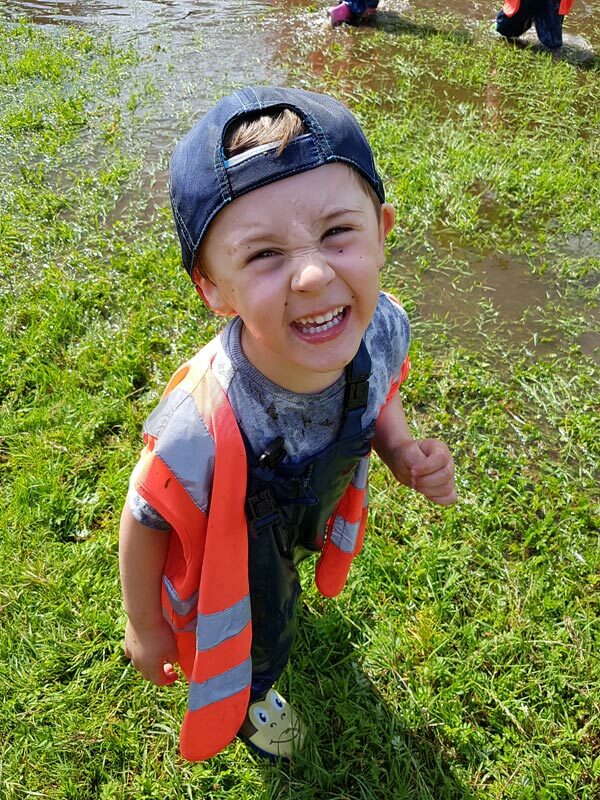 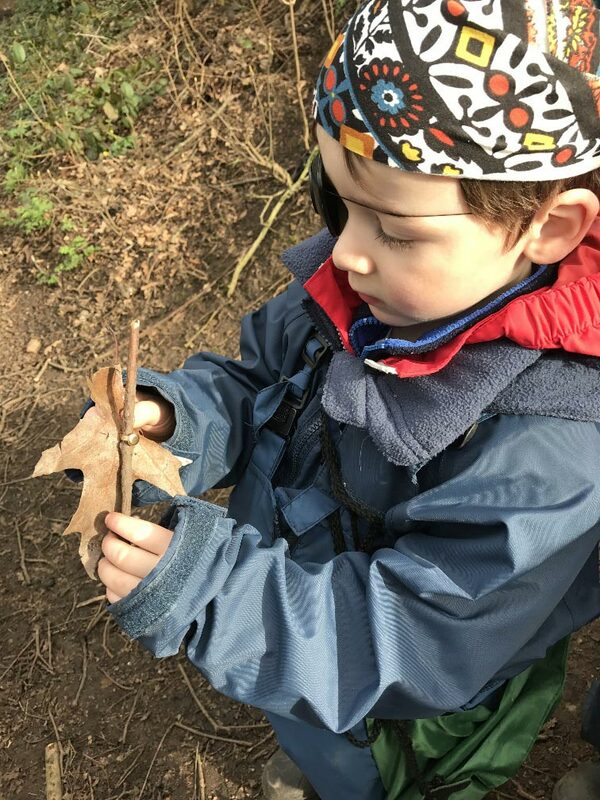 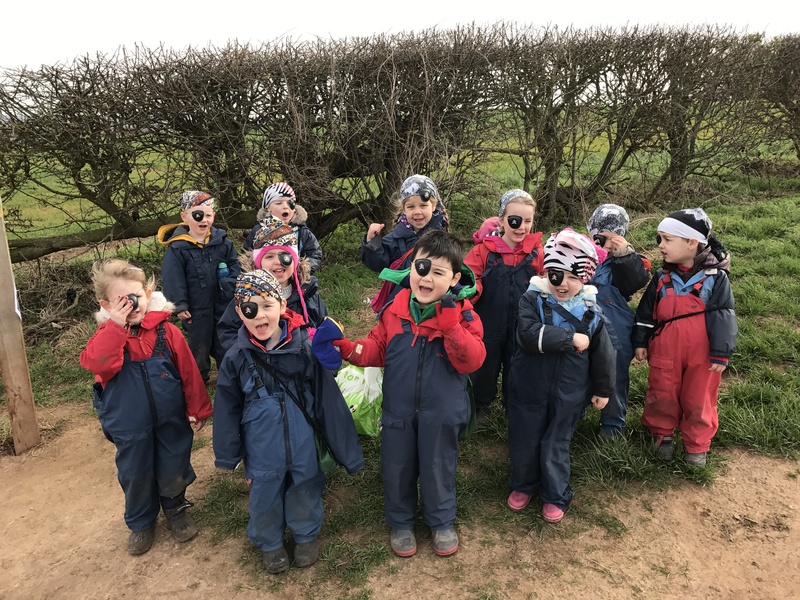 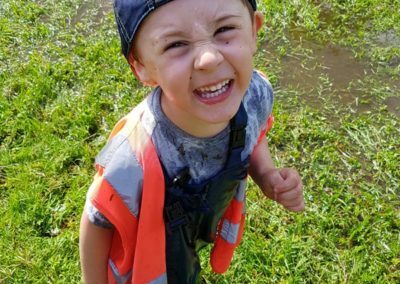 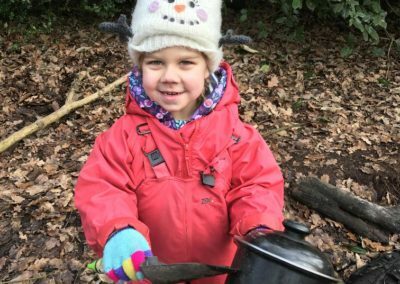 The Early Years Forest School philosophy is to encourage and inspire children through positive outdoor experiences, to provide an innovative educational approach to outdoor play and learning. 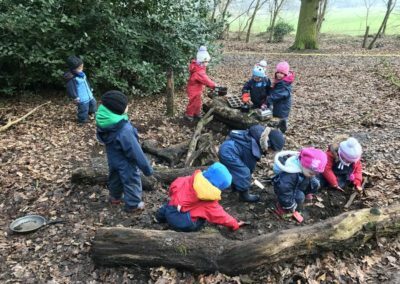 Forest School involves taking groups of children to their own woodland site, involving them in engaging and achievable tasks to help to develop their motivation and social and emotional skills. 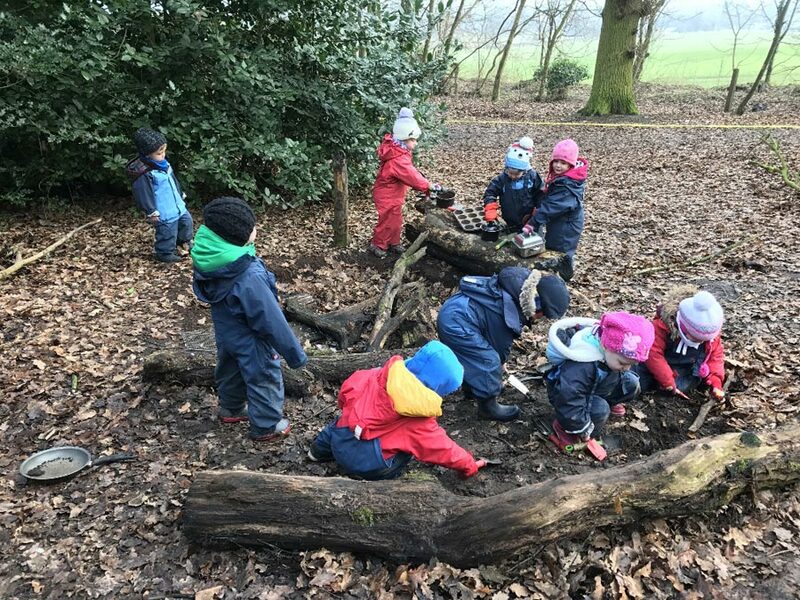 Going to the wood in all weathers is a fun experience giving children freedom to make choices and to learn and explore by investigating their natural surroundings. 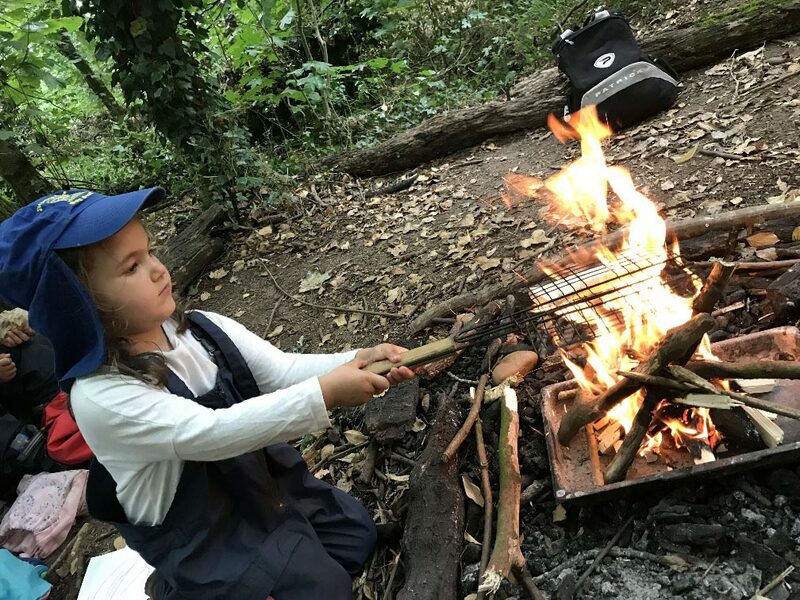 Children learn about the environment -trees, plants, wild flowers, animal habitat – as well as making dens, building campfires, cooking food, tool making, bark rubbing and climbing trees! 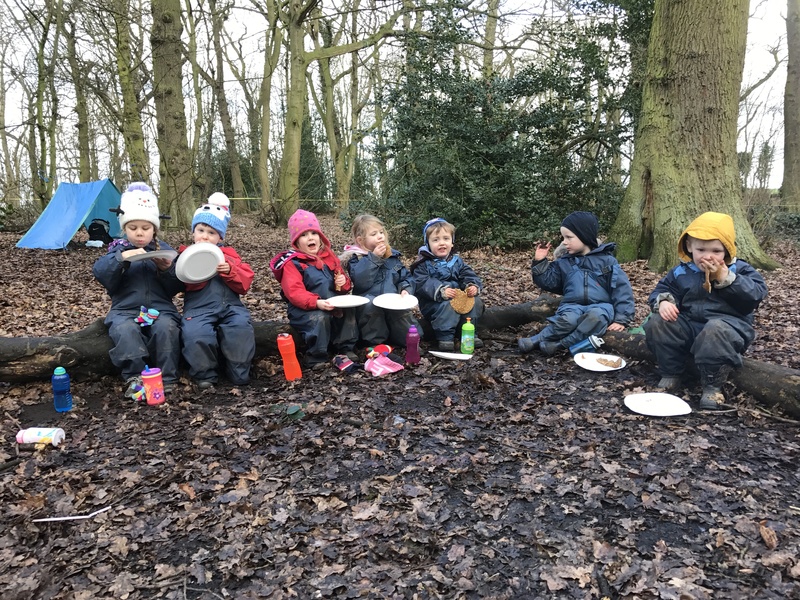 We were one of the first nurseries in Nottinghamshire to establish Forest Schools over 10 years ago. 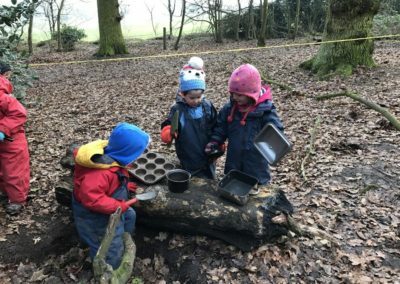 We have trained several staff to become Forest School Practitioners and have supported other settings to start their own Forest Schools. 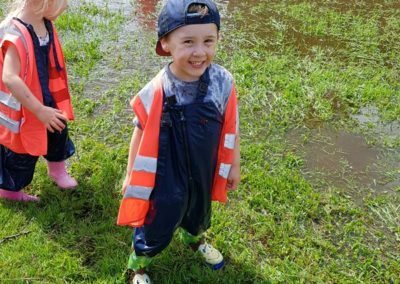 Sessions are held 2-3 times a week for eight weeks for small groups of children. 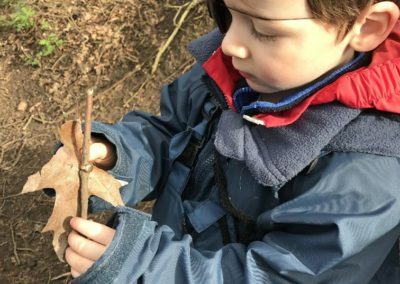 Children are encouraged to evaluate their learning and take something home to involve their parents in their discovery.